Are you wondering when to use the present perfect tense? Or I should say, "have you learned" when to use the present perfect? We use this tense to talk about an action that started in the past and has a connection to the present. 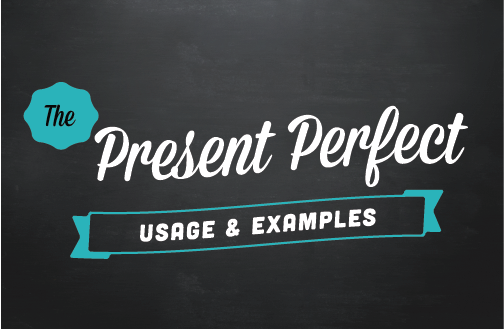 We use the present perfect simple to describe an action or state that started at an unknown or unspecified time in the past AND has a connection to the present. Learners are sometimes confused by this. They ask, if this tense is called the "present" perfect, why are we talking about "past" actions? Excellent question. In each of these examples we are focusing on the result now or why the action is important at this present time. It's usually easier for learners to understand the second use which is for actions that started in the past and are still continuing in the present moment. The tense helps to answer "how long ago" something has been happening (in relation to now) or for how long a period of time something has been happening. We often use the words "since" (after a specific time) or "for" (a period of time) with this usage. My daughter has been sick for a week. I haven’t slept for two days. We haven’t seen each other since high school. I haven’t had a drink since the accident. He hasn’t dated anyone since his wife left him. I haven’t smoked a cigarette for three months now. With finished time words we use the present simple. We frequently use the present perfect tense to ask or talk about whether someone has experienced something during their life (at any time in the past until this moment). Often, we use the words "ever" (in questions) and "never". We will sometimes also add the word "before." Have you ever eaten fried insects? No, I haven't tried fried insects and never will. Has Jimmy ever been this sick before? Have you taken private English lessons? I've never travelled by train before. Have the children ever done something like this before? Never in my life have I been so much in love. Just describes something that happened a short time before this moment. I've just received your email and will read it now. He's just arrived, I hear the car pulling to the garage. I'm so excited. Lady Gaga has just released her latest album. Just about means that something that was started is almost finished. I've just about finished this novel. Have you finished the report yet? Just about. I've just about used up all the milk. Where's that letter? I've already mailed it. Can I help you clean? I've already swept to the floor but you can vacuum the carpet. We've already eaten at that restaurant so let's go somewhere else. We need to take the trash out. I've already taken it out. Has my boyfriend arrived already? I'm still getting dressed. You don't have to ask. Your mother has already ironed your shirt. Note: Yet usually comes at the end of the sentence. We use yet with negative statements and questions. It's 3 o'clock and I haven't had lunch yet. I can't believe you still haven't written your paper. He said he sent an email an hour ago but I still haven't received it. We still haven't decided what to eat for lunch. 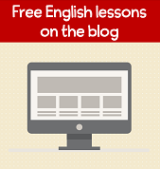 If you need to review how to form the present perfect tense please check this page. I go over the positive and negative forms, questions, review the irregular past participles and spelling changes and give lots of examples.